Dear SFWA members: I’m running for the position of President. I’m running for the position of President. For four years, I was privileged to work with an extremely active and committed board, first as Secretary of SFWA and then as Vice President. I stepped down because I believe that new voices are vital to a service organization such as SFWA. But there are still things that I want to see accomplished, particularly trying to find affordable health care options for our members. I feel that after seven years off the board, the time is right to run again. I believe that SFWA is an important organization and that volunteering for it is a way that we can each help to pay it forward by making the field stronger. As a group, we can improve things within the industry in ways that individuals cannot, but we are dependent on our volunteers. We are dependent on you. I would very much like to help SFWA move forward so that it can continue to inform, support, promote, defend and advocate for our members. For those of you that I have not yet met, here is a little about me personally. In addition to my Board duties, I also supervised the team which built the website, sourced the membership management software, and researched options for health insurance. 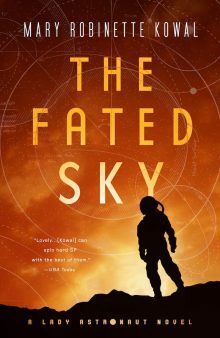 I was the 2008 Campbell Award Winner for Best New Writer, won three Hugo awards, and the RT award for Best Fantasy Novel. Besides writing, I am a professional puppeteer and voice actor and have worked in the arts for the last twenty-five years. I served on the Board of Directors and as the Vice President of UNIMA-USA, the American branch of the international puppetry organization. This background has given me experience in how effective non-profits function, as well as grant-writing and volunteer management. I have closed comments to encourage any discussion on the SFWA boards so it’s all in one central location.